After releasing on CD René la Canne, Le Bon Plaisir and Descente aux Enfers, Music Box Records explores a new chapter in the career of Francis Girod, releasing the two original motion picture soundtracks composed by Pierre Jansen for this director. 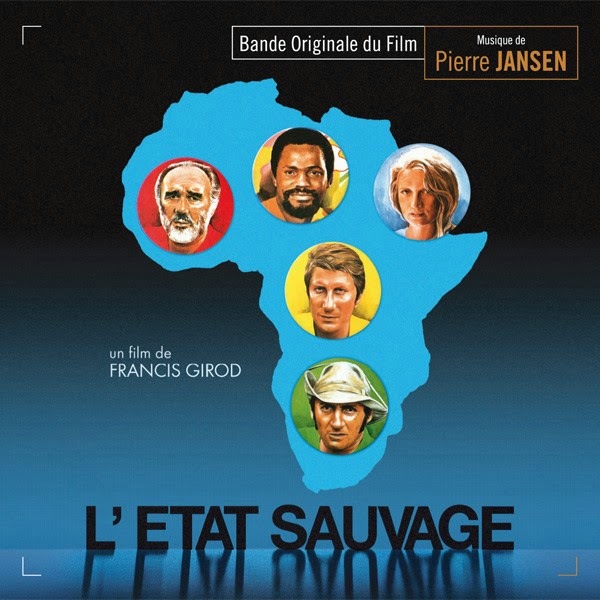 L’État Sauvage (1978) adapted from the novel of the same name by Georges Conchon (winner of the 1964 Prix Goncourt) deals with the initial period after decolonization of a fictional African state, centring on the tormented and chaotic destinies of five main characters. Le Grand Frère (1983), a revamp set in Africa and Marseille of Sam Ross’s novel Ready for the Tiger (translated as part of the Série Noire collection), allows, through the conduit of a seedy story of revenge, for the head on tackling of a number of social problems, not least among which features the integration of the first generation of French of North African descent. Music Box Records, in collaboration with Gruppo Sugar and EMI Music Publishing, presents both scores for the first time on CD and transferred from the original stereo master tapes. The limited edition of 500 copies comes with an 8-page booklet with French and English commentary by Laurent Perret and an interview with Pierre Jansen.